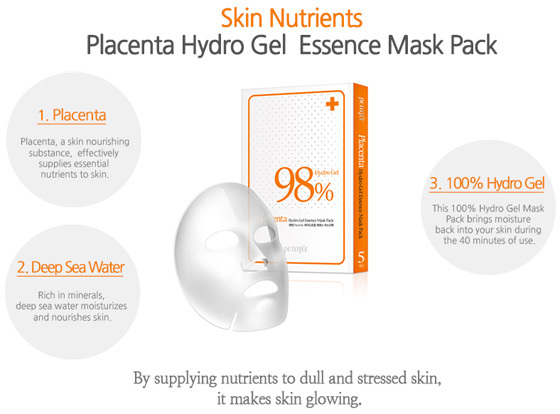 Placenta effectively supplies essential nutrients to your skin. Hydrogel is water in the form of jelly which gives skin exceptional hydration. This Hydro Gel Mask is excellent for absorption of rich moisture and nutrients compared with wheet pacts. The enriched essence in the ECO water-soluble pack gets absorbed into skin and will become thinner as it is absorbed. It can be used when going about your daily routine at home. Pat face gently for essence remaining on skin.